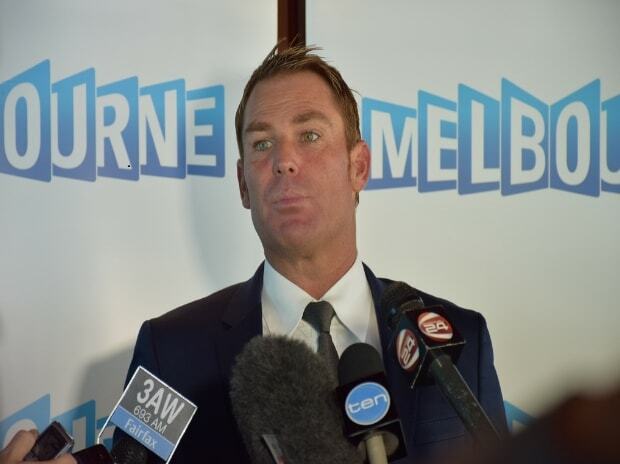 Test great Shane Warne says Australian cricket's new buzzwords, including "elite honesty", make him "vomit" and actions not words should be the focus as the team works to turn itself around. Coach Justin Langer, appointed after the ball-tampering scandal in South Africa exposed a win-at-all-costs mentality, has cited the phrase as the way forward for Australian cricket. It followed a review last week into the culture at Cricket Australia and a "players pact" calling on cricketers to respect the game's tradition and "make Australians proud". "Elite honesty" was reportedly one phrase plastered on the walls of the team's changing room ahead of their one-day clash with South Africa in Perth on Sunday, with fans poking fun at it on social media. And Warne, never one to mince his words, let rip during television commentary. "Forget all the words, forget the verbal diarrhoea and all that sort of stuff," he said on Fox Sports. "That's just rubbish, that sort of stuff. Seriously, it makes you want to vomit. "At the end of the day, cricket is a simple game and it's a performance-based game. You've got to perform on the field. "All these words and everything -- it's all about actions. And I think it's got to be the basics." He added that the captain and vice-captain lead the way and "the rest come after you". "You inspire from within with your performances and the way you perform on the field. "None of this writing words, 200-page documents, just get out and play better." Australia has endured a tough time on and off the field since Steve Smith, David Warner and Cameron Bancroft were banned for their role in attempting to alter the ball with sandpaper in a Test against South Africa in March. Then-coach Darren Lehmann quit soon after while Cricket Australia chief executive James Sutherland has since left and chairman David Peever fell on his sword last week. In attempting to explain the meaning of "elite honesty" last week, Langer said: "It's the Australian way as I know it. "You can lie to everyone else, but you can't lie to yourself. So that's elite honesty to yourself," he added. "And also the Aussie way as I know it is to look a bloke in the eye, look your sister or you mum in the eyes, and tell them the truth and be happy to get some truth back, so that's elite honesty.